Theo Grutter is a big, friendly bear of an unpretentious, spontaneous outdoorsman. Born and educated mostly in Switzerland to enter the corporate world, he soon discovered that this life wasn't for him. He moved to Paris and married Clara, a concert pianist. They landed in New York to search for a lifestyle more to their liking in which to raise a family, which soon grew to include five children. They lived in many places, finally settling in a small Mexican Pacific coast fishing village in winter and traveling up to Sitka, Alaska in the summers, where Theo still fishes as a solitary commercial fisherman. Theo and Clara took yearly walkabouts in many exotic countries of the world, with Theo ever observing, learning, and writing about how life works on Earth. 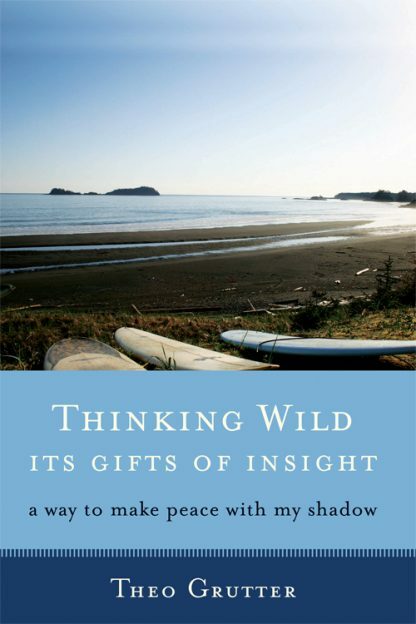 Thinking Wild is the fruit of twelve years' work, a series of essays carved in Theo's non-native and poetic English, written by a remarkable man with deep insight, a fisher philosopher, a seer and seeker railing against man's disrespect of other lifeforms on Earth. All is shared by a man who sees his life as his work of art, and treads a path towards a new way of seeing life more lovingly. Theo Grutter is a big, friendly bear of an unpretentious, spontaneous outdoorsman. Born and educated mostly in Switzerland to enter the corporate world, he soon discovered that this life wasn't for him. He moved to Paris and married Clara, a concert pianist. They landed in New York to search for a lifestyle more to their liking in which to raise a family, which soon grew to include five children. They lived in many places, finally settling in a small Mexican Pacific coast fishing village in winter and traveling up to Sitka, Alaska in the summers, where Theo still fishes as a solitary commercial fisherman. Theo and Clara took yearly walkabouts in many exotic countries of the world, with Theo ever observing, learning, and writing about how life works on Earth. Find �30 Minutes with Theo Thinking Wild� on YouTube at http://www.youtube.com/watch?v=e_H1XONvg4E, which adventurous minds might enjoy.